William Hill is one of the most well-known bookmakers, having opened its doors back in 1934. Back then, their betting shops were well visited, and while they still are, the bookmaker has moved online and now boasts one of the best sportsbooks available on the internet. One of the first things that players look for when they create a new account at William Hill are the promotions, welcome offers and whether any free bets are available to them when they join. All online sports betting sites like to welcome those signing up with deals to make their first bets and experiences as enjoyable as possible. It’s an excellent way of introducing betting and wagering money to those who may have never visited an online sportsbook before. The free bets employed by some of the bookmakers allows for new users to learn about the various markets and how a bet slip works and what it looks like. At William Hill, you can receive three £10 free bets to use on any sport once you’ve placed a bet of £10 or more. Like many online sportsbooks, a promo code is required and that is C30. You can use the free bets on anything on the sportsbook, so it doesn’t matter whether you’re a football fan or you like horse racing, you could end up making a lot of money! 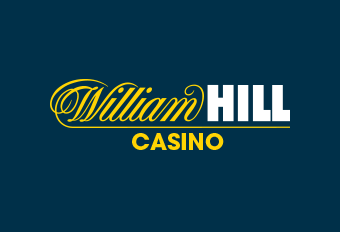 As William Hill is one of the most established names in the world of online betting, you can find all their promotions on their dedicated page on the site. This page is kept up-to-date and is easy to navigate around, with the graphics also excellent in showcasing what their offers are. There’s an Acca Insurance promotion for all sports fans to enjoy, where you get your money back as a free bet if you’ve placed an accumulator with more than five selections and one has let you down. If you download the William Hill app to your smartphone or android device, then you’ll also find some fantastic offers that are sent out by push notification prior to most major events. Free bets, money back specials and other bonuses are all up for grabs on selected football matches and horse races. There’s nothing more thrilling than betting in-play and it’s become one of the best modern innovations to the online sportsbook. Punters can now place bets in the middle of a match, game or race, with the odds constantly changing depending on the action that’s taking place in front of their eyes. In-play betting shows just how different the world of gambling has become and it’s a completely different era from the one where players were only able to place bets pre-match and prior to the start of an event, rather than in the middle. You can find the In-Play feature on the William Hill sportsbook on the top right-hand side of the homepage. Clicking on the “In-Play Betting” link will take you through to all the live betting markets available on the site. Cashing out is another innovative feature that’s revolutionised the betting industry and how bookmakers now operate. Cashing out enables players to withdraw their winnings before the end of the game, in the event that something happens, say a goal is scored, which affects their bet. There are several online bookmakers who now offer players the opportunity to partially cash out their bets. This means that similar to the cash out option, players can now withdraw a portion of their winnings and keep the bet alive with the amount that’s left. Regardless of which online betting site you’re using and the promotions available, there will always be terms and conditions that run alongside them. The same goes for free bets, as well as other bonus offers, like deposit bonuses and refunds. It’s best to make sure you’ve read them all before taking advantage of the stated offer. The time it takes to settle a sports bet varies, but William Hill are a prestigious name in the industry and ensure that players are paid out on time. However, before taking part in a promotion, make sure you’ve noted the closing time for participation, as there’s nothing worse than seeing a promotion, then forgetting to place your bet in time. To be eligible for the William Hill free bet offer, you must use the promo code C30 and place a bet of at least £10 or more. Once you’ve done that, you’ll receive 3x £10 bets. These free bets must be wagered in 30 days and the stake isn’t included in the winnings. The offer is only available to new customers. There are a number of available payment methods on the site, but you cannot take advantage of this offer if you make a deposit using e-wallets like Skrill, NETELLER or PayPal.